Elasticsearch is a RESTful search and analytics engine based on Apache Lucene. It provides a distributed, multitenant-capable full-text search engine with an HTTP web interface and schema-free JSON documents. Elasticsearch is developed alongside a data-collection and log-parsing engine called Logstash, and an analytics and visualisation platform called Kibana. The three products are designed for use as an integrated solution, referred to as the "Elastic Stack" (formerly the "ELK stack"). To perform data modeling for Elasticsearch with Hackolade, you must first download the Elasticsearch plugin. 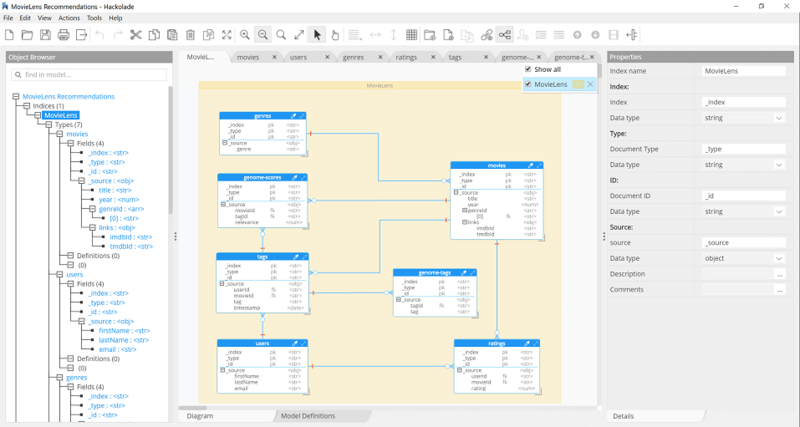 Hackolade was specially adapted to support the data modeling of Elasticsearch, including the large choice of data types and parent-child relationships. The application closely follows the terminology of the database. 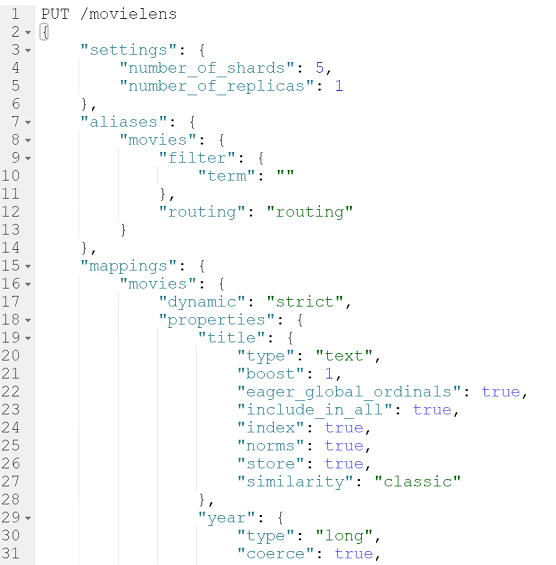 The data model in the picture below results from the reverse-engineering of a sample travel application imported in Elasticsearch. An index is similar to a database of keyspace. The term index should not be confused a database index. 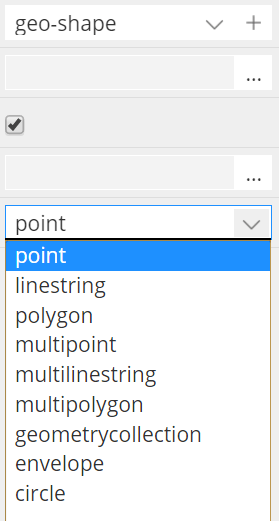 And the word indexing in Elasticsearch means inserting/updating the documents in an Elasticsearch index. An index is a flat collection of independent documents. A single document should contain all of the information that is required to decide whether it matches a search request. A type is similar to a database table or collection. An index can have one or more types. Type is a logical separation of different kinds of data. You should avoid putting documents that have totally different structures into the same index in order to avoid sparsity. It is often better to put these documents into different indices, you could also consider giving fewer shards to these smaller indices since they will contain fewer documents overall. 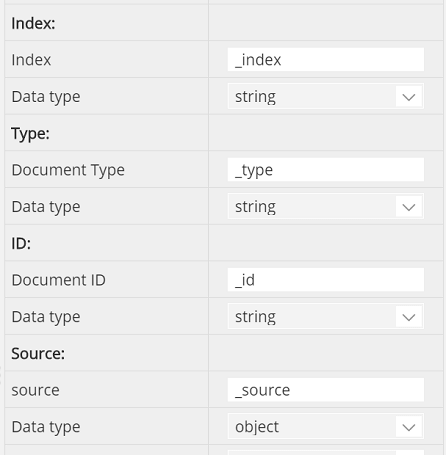 IDs in Elasticsearch can be provided by the application or automatically generated by Elasticsearch. Even if the id represents an integer, it is stored as a string. 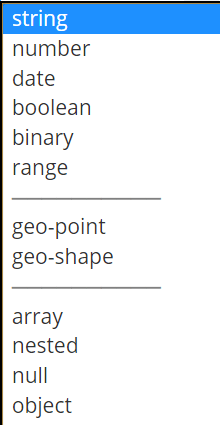 Elasticsearch supports a number of different datatypes for the fields in a document, including core, complex, geo, and specialized datatypes. 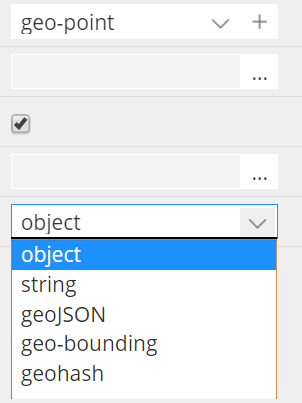 Hackolade has been configured to use all the Elasticsearch types, as described here. 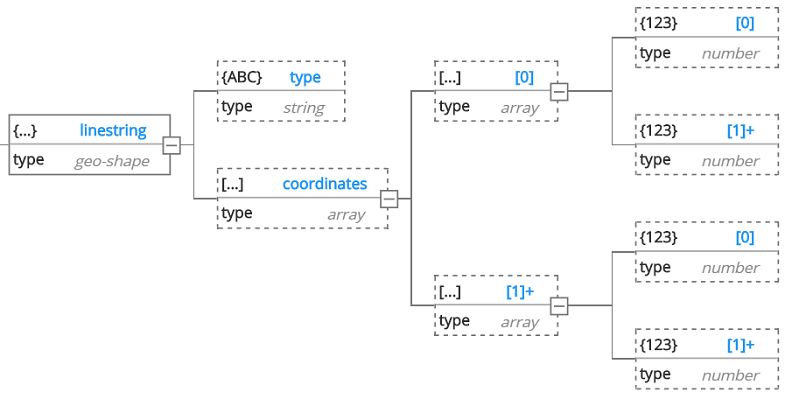 Hackolade dynamically generates the mapping for the document structure created with the application. You may define the connection parameters to your instance, typically on port 9200. Take a look at this page for more information. The Hackolade reverse-engineering process of an Elasticsearch instance includes a query for a representative random sample of items, followed by a schema inference based on the sample. For more information on Elasticsearch in general, please consult the website.